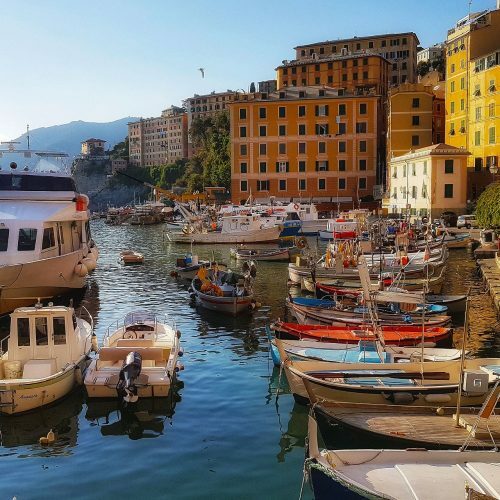 Genoa is a historical town that has always maintained its authentic soul and does not change to become a “mass tourism” destination. We think this is probably the most attractive fact that continues to call travellers from all over the World! 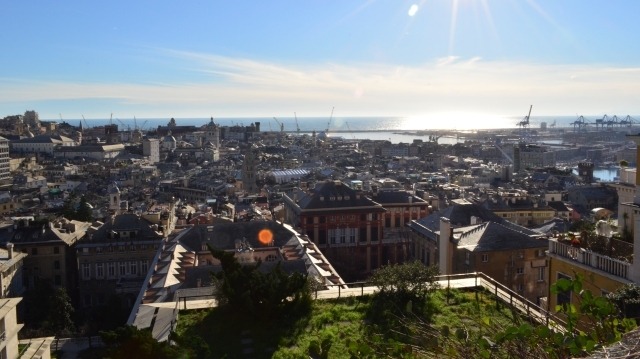 And, If you are one of those planning a visit to this old city, we have some tips for you not to miss to spend a day in Genoa! 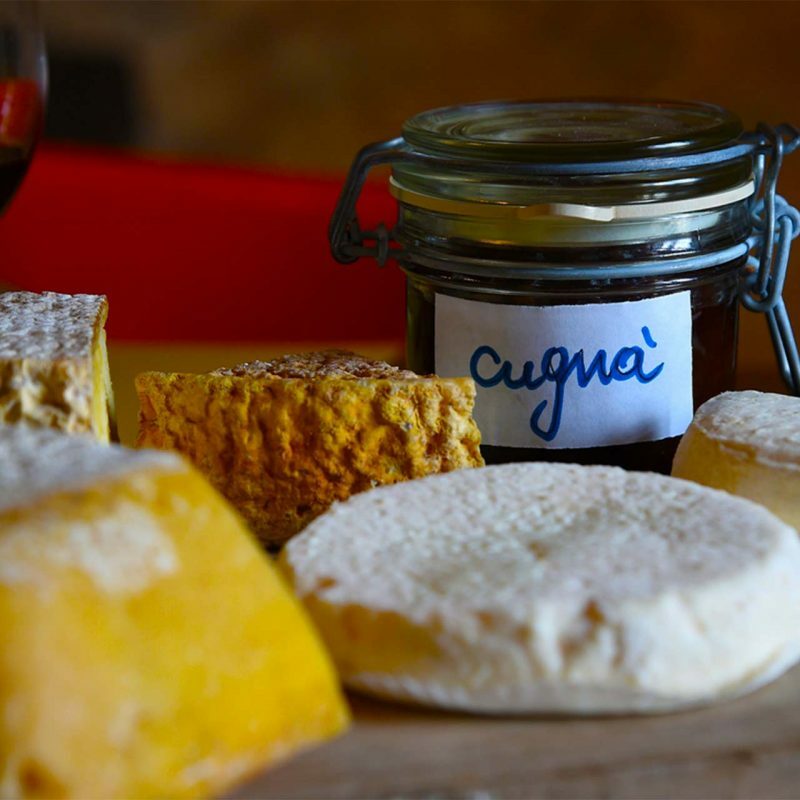 You’ll discover that this historical town preserves some of the most beautiful ultra-centenarian shops and boutiques you have ever seen. 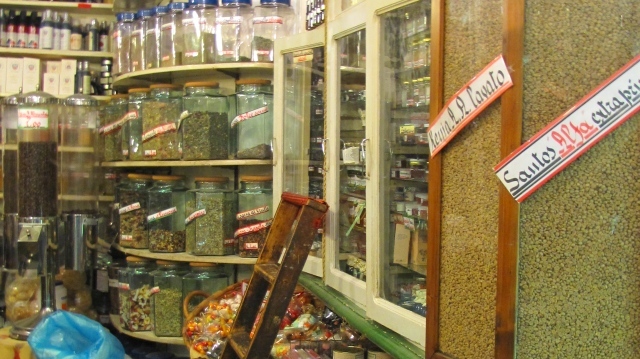 From the two hundred years old “Romanengo” shop, which products are made with the same recipes used centuries ago by the “confiseur-chocolatier”, to the herbs and spices very small boutique “Torielli” and the old “Sciamadde” serving typical street food such as farinata, fried fresh seafood, friscieu (fried croquettes filled with herbs) and more, you’ll find the “real” Genoa soul! 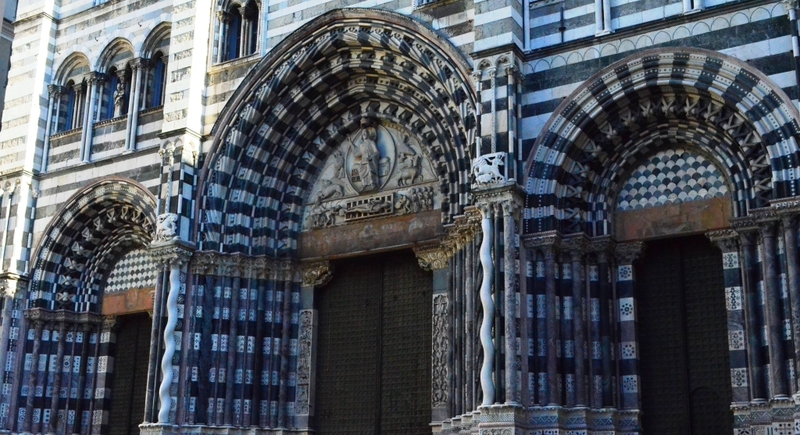 A masterpiece of gothic art built on a pre-existing Romanesque structure with black and white stripes, you can’t miss the town cathedral with its two lions sculptures! While here step in the small museum where is located the “sacro catino”, it is said to be the Holy Grail! Don’t rush! 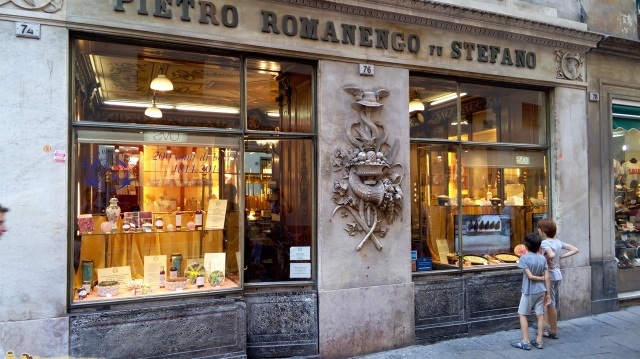 There’s nothing better than breathing the local atmosphere than having a stop for a cappuccino or a caffè in an old historical caffetteria under the frescoes! Be fascinated by the majesty of the buildings on the 16th century Via Garibaldi (aka ‘Strada Nuova’, or New Street), a UNESCO World Heritage site! 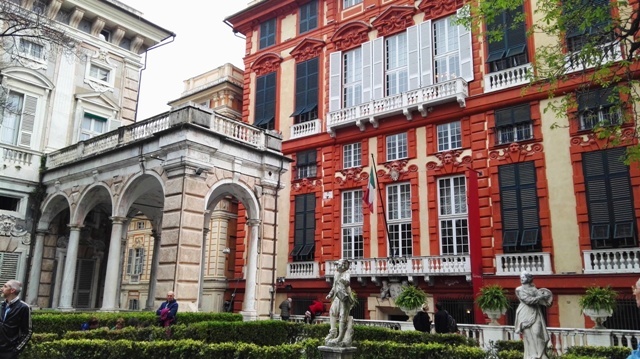 Taking a walk in the sumptuous street of Via Garibaldi, which is home of 42 palaces listed in the Unesco Heritage Site, is absolutely something not to be missed when coming to Genoa historical town. This series of noble buildings in the Renaissance and Baroque styles where built between the 16th and 18th Centuries by the most powerful genoese families. They were designed in order to offer hospitality to important guests on visit to Genoa. One of the most famous street food eaten in Genoa by local people, the best focaccia has to be golden and crispy, greasy and high up to a finger. This typical focaccia is usually found in “bakeries” (aka panificio). Here you have our suggested list of places where to eat it! Lastly, reach the upper residential districts of “Castelletto” for a panorama of the historical town’s rooftops. The “paradise” lift built in Art Nouveau style is located in piazza Portello and takes you up to the terrace at Belvedere Montaldo. Here the view till the sea will enchant you! For sure, what we would recommend to anyone planning a day tour to our town is to visit it with a local insider who can really let you appreciate this place at its best!